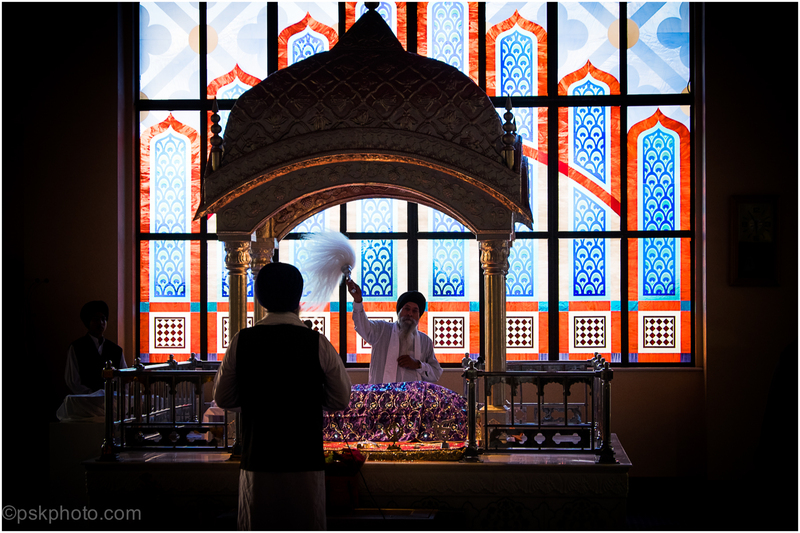 Although mainly thought of as a Hindu celebration Diwali is very important for the Sikh faith. The first foundations of the Golden Temple at Amritsar were laid on Diwali in1577. It is also at this time that the sixth Sikh Guru Hargobind Sahib was released from captivity by the Mughul Emperor Jahengir along with 52 Indian Kings and returned to Amritsar. 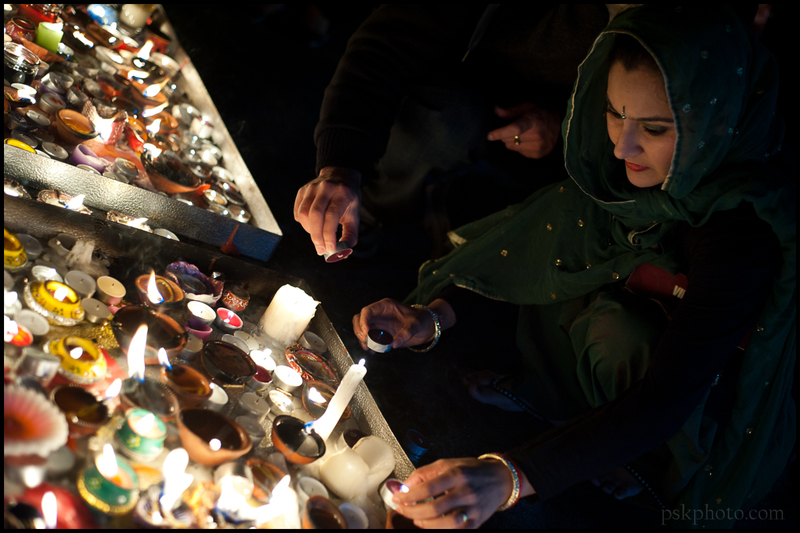 For Hindus, Diwali celebrates the triumph of good over evil. Clay lamps are lit and kept on during the night and houses are cleaned in order to make the goddess Lakshmi feel welcome. Fireworks are let off to frighten away evil spirits. 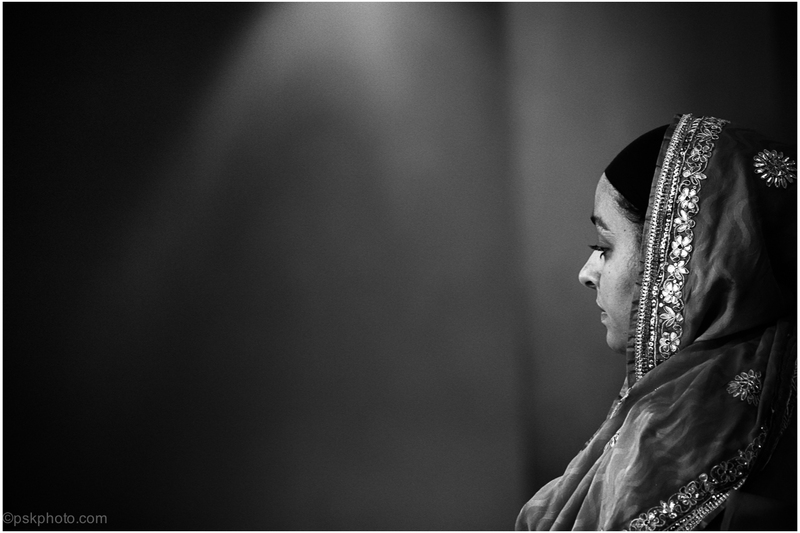 A big part of any wedding is the bride and groom getting ready on the big day. 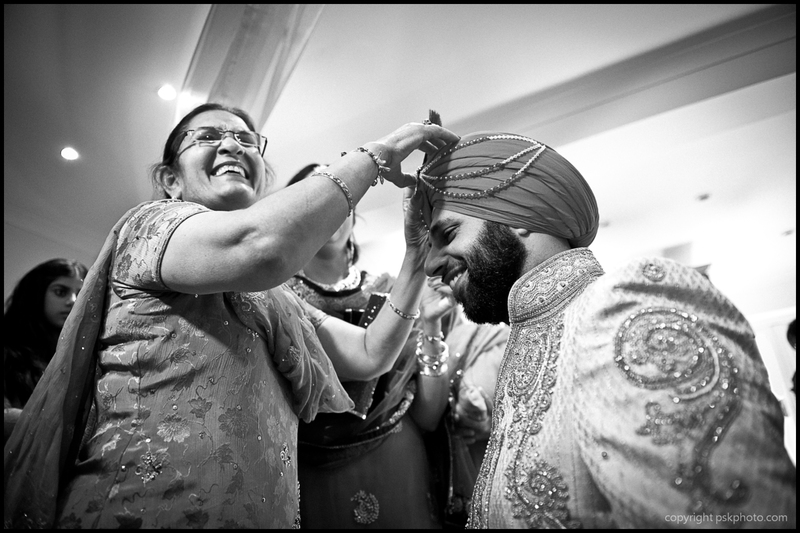 Here, a Punjabi Sikh man is helped in decorating his turban by a relative while close members of the family look on. This picture was taken in London.